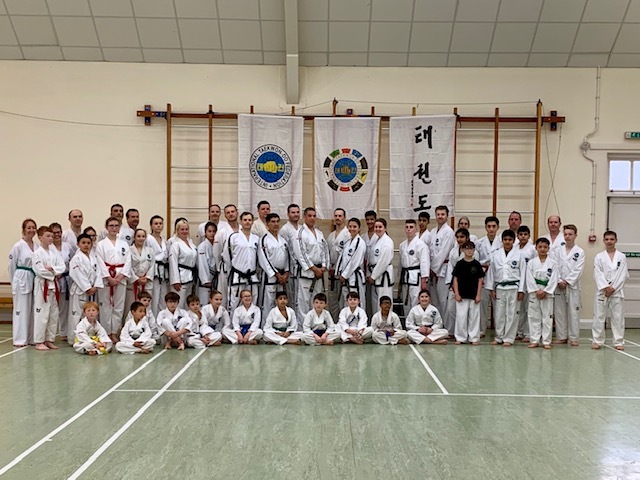 This page contains news articles from all of our Taekwon-Do schools across North London, Rickmansworth and Stoke Poges. 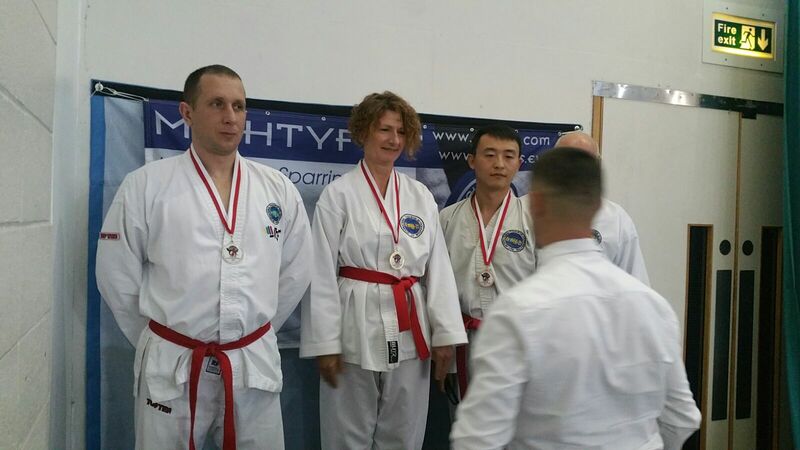 On Sunday march 3rd 50 members of TOTAL TKD attended the Spring seminar which conducted by Master Symonds. 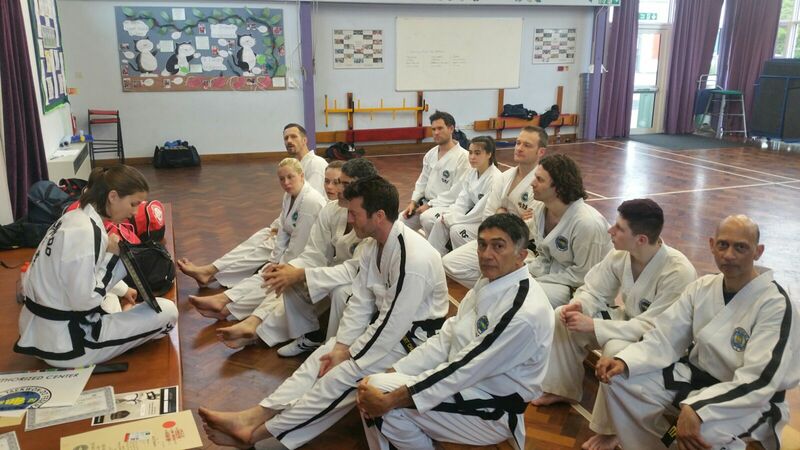 In attendance were Instructors and students from many of TTKD Schools as well as senior members of the association. 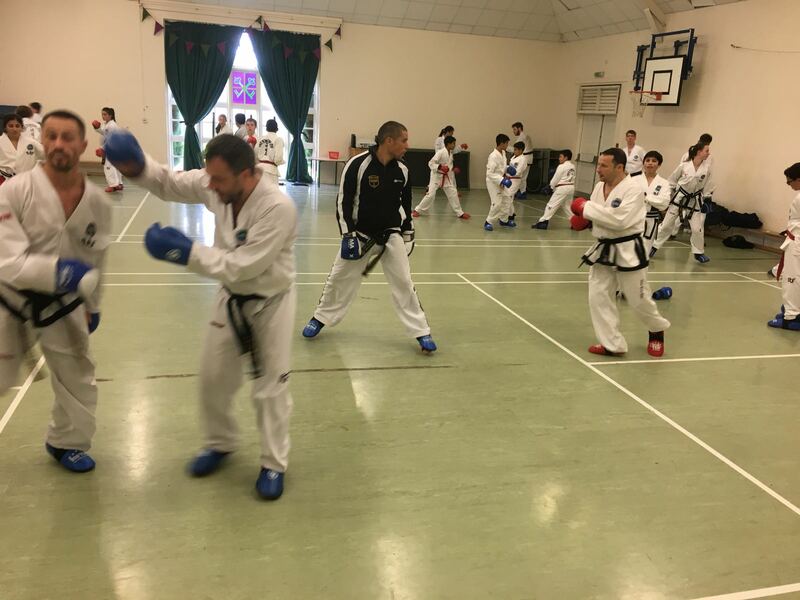 The seminar took a detailed look at Sine wave, generating power in each technique, ways to improve kicking and applying technique in self defense and sparring. 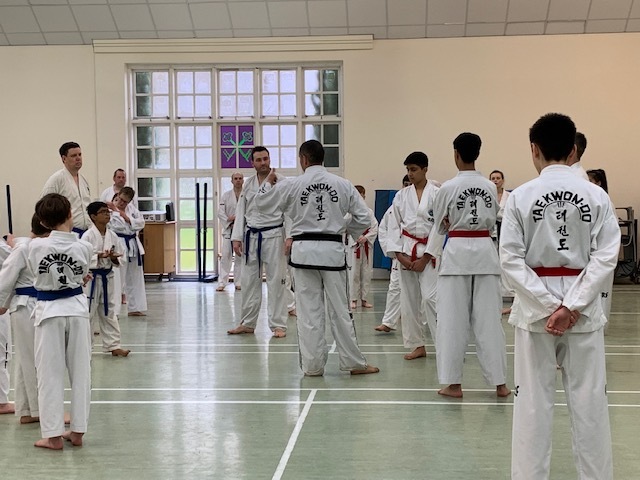 The black belts then had the final hour to perform their respective grade patterns, with lots of positive questions and discussion emerging from the session. Well done to all that took part. 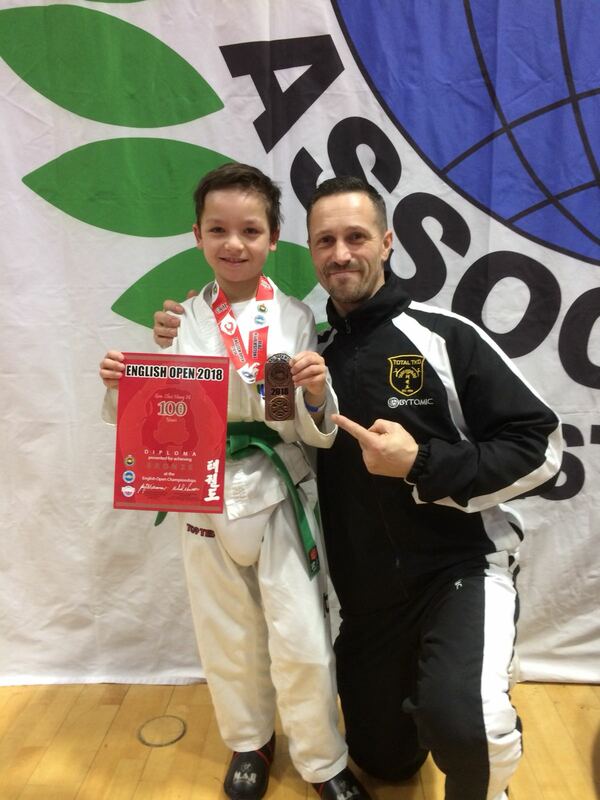 On Saturday 16 February members of TOTAL TKD traveled to Swindon to compete at the PUMA International. 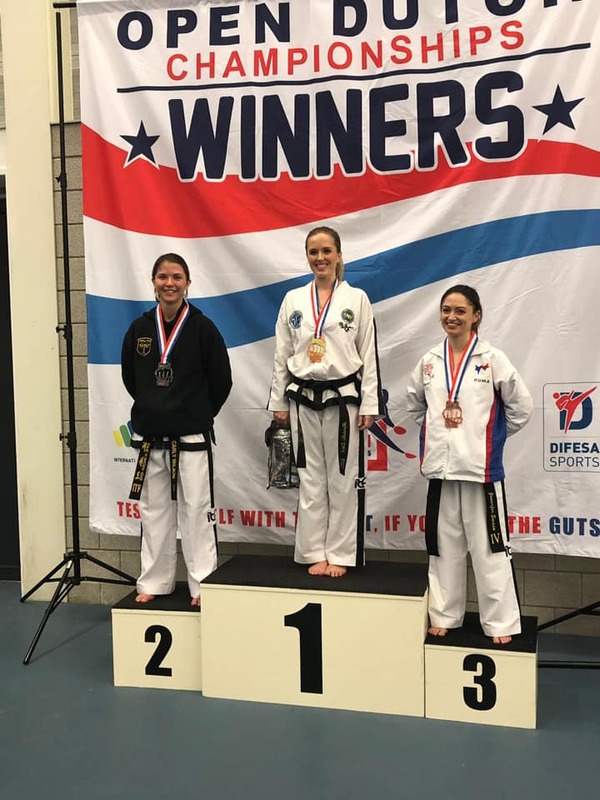 Congratulations to Carly Wilson of achieving 2nd place at the Dutch Open. 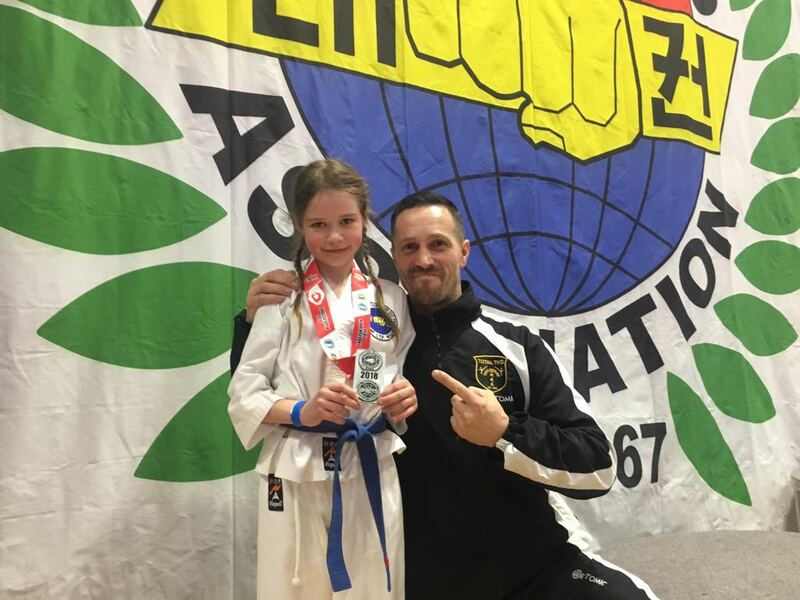 Carly traveled as the sole members of TOTAL TKD and competed solidly throughout the rounds narrowly missing out on Gold. 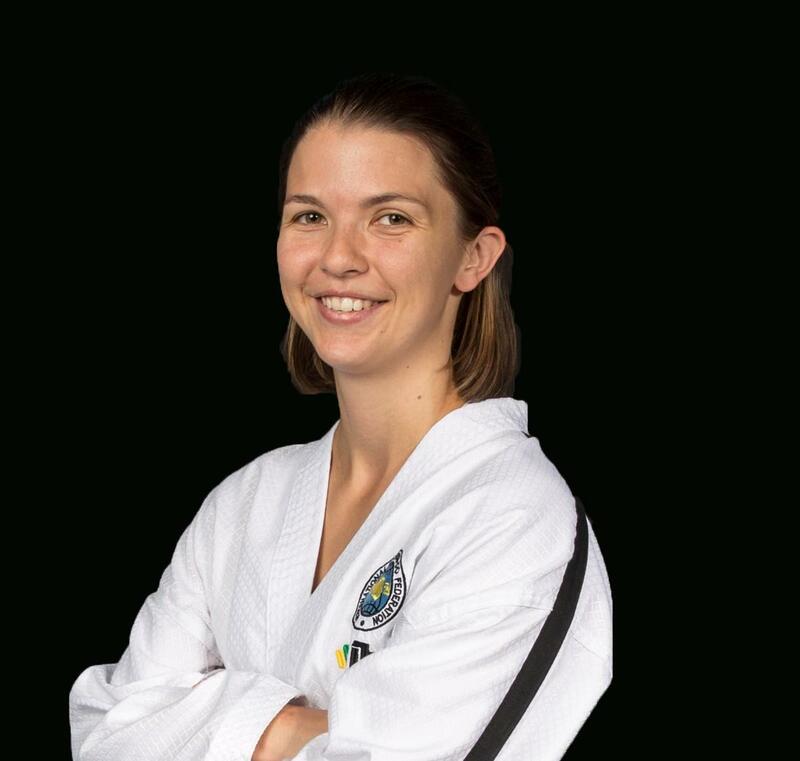 Miss Wilson has been selected as the England Ladies Captain for the World Championships in Germany this year. 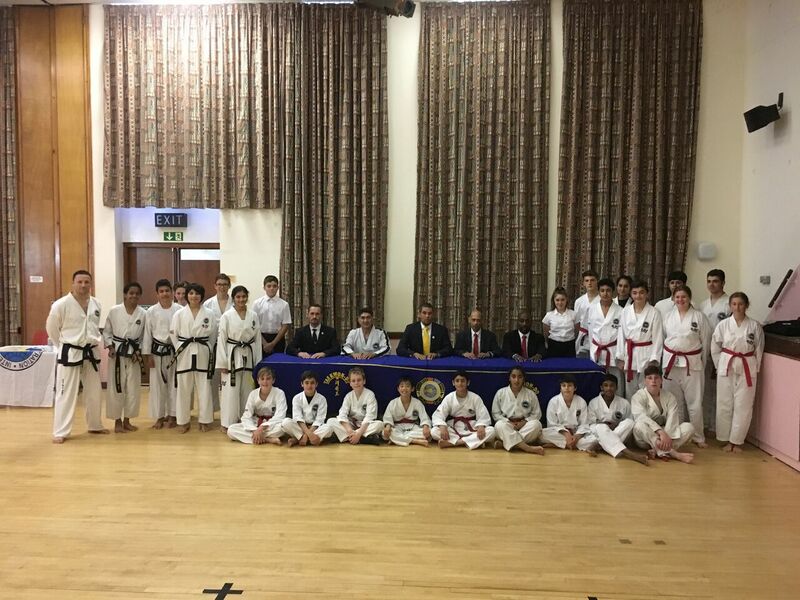 Master Symonds presented long serving student Mr Panta da Silva with his 20yr contribution to TOTAL TKD. On the same evening Mr da Silva was also presented with The Marcia Griffith Memorial Award. 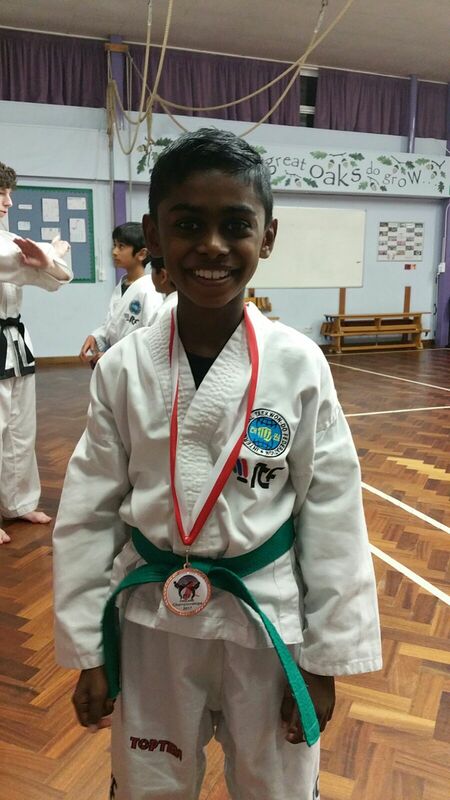 The award is in memory of Master Symonds sister and was presented by his Mum to Mr da Silva. 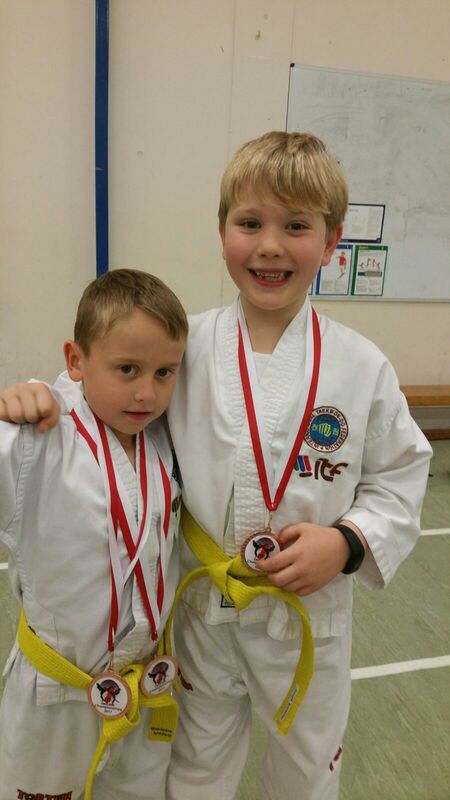 The Annual Total TKD Interclub competition returned on Sunday 2nd of December. The competition has been running for nearly 10 years now and is growing every year. 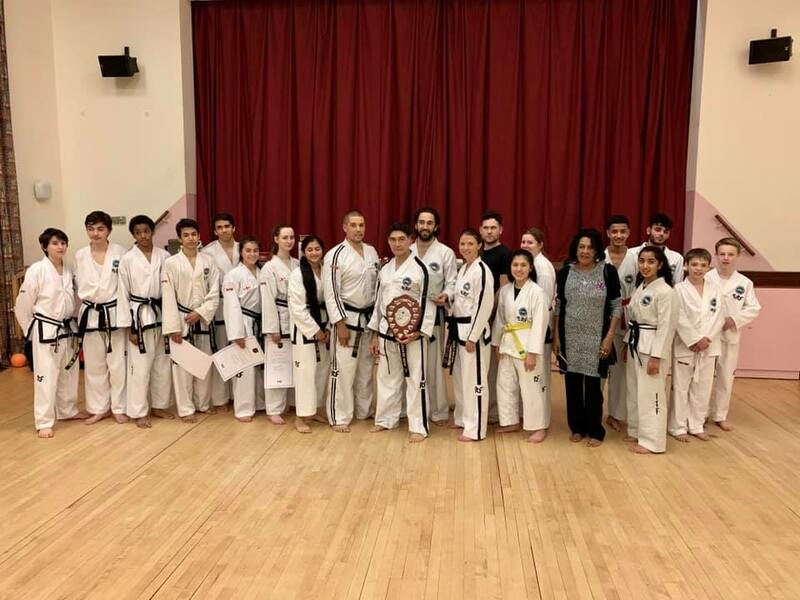 80 Students from six of Total TKD's Schools across London attended. The schools include: Southgate , Croxley Green, Hadley Wood , Kentish Town, Chorleywood and Rickmansworth. 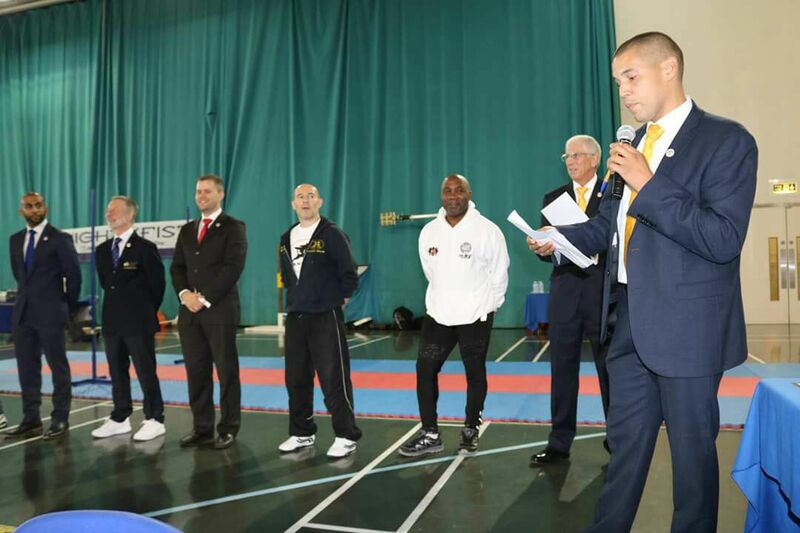 Alongside the competitors, 27 of Total TKD's umpires were involved in the making of the day. Master Symonds, the founder of the association, said that it was a 'Great day for everyone and congratulations to all those that won medals'. 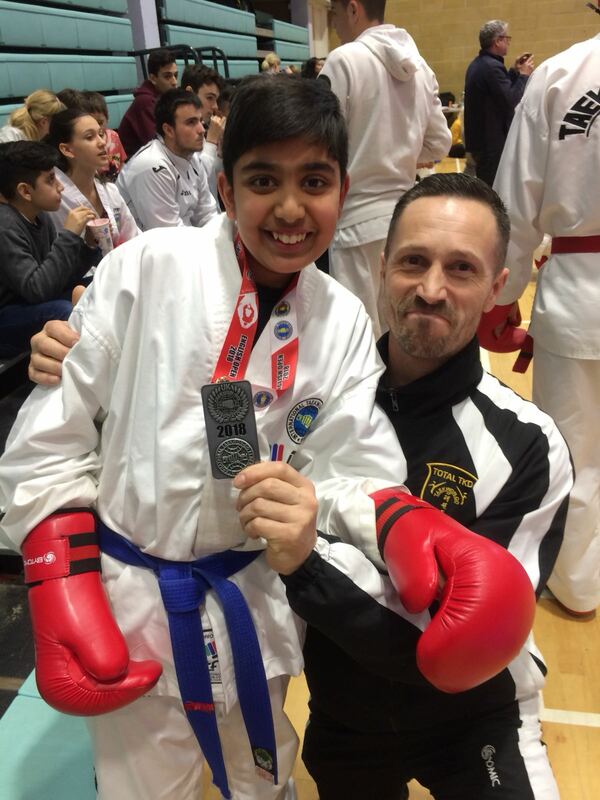 On Saturday the 24th of November the TOTAL TKD team took part in the British Championships. 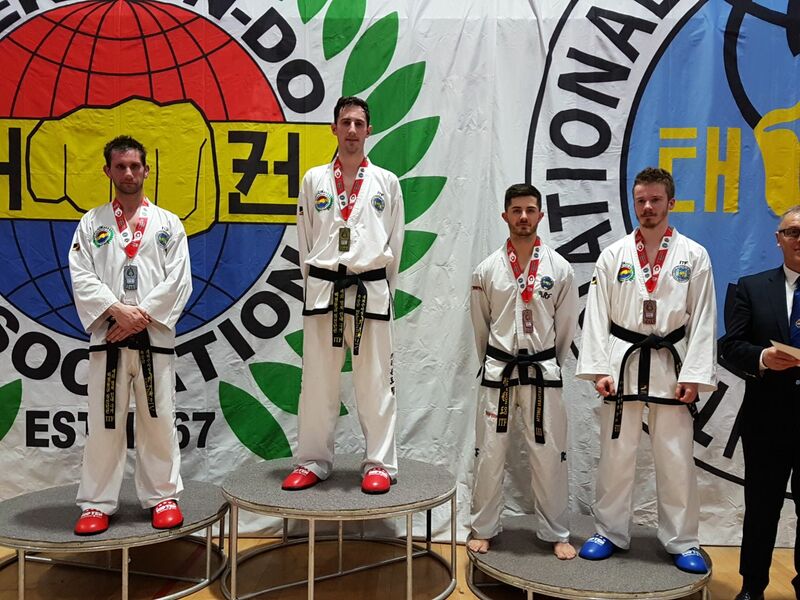 The outcome of the competition for TOTAL TKD was excellent, taking home nine medals from seven competitors. A big thank you to Master Symonds, Miss Wilson and Mr Hourican for coaching on the day. 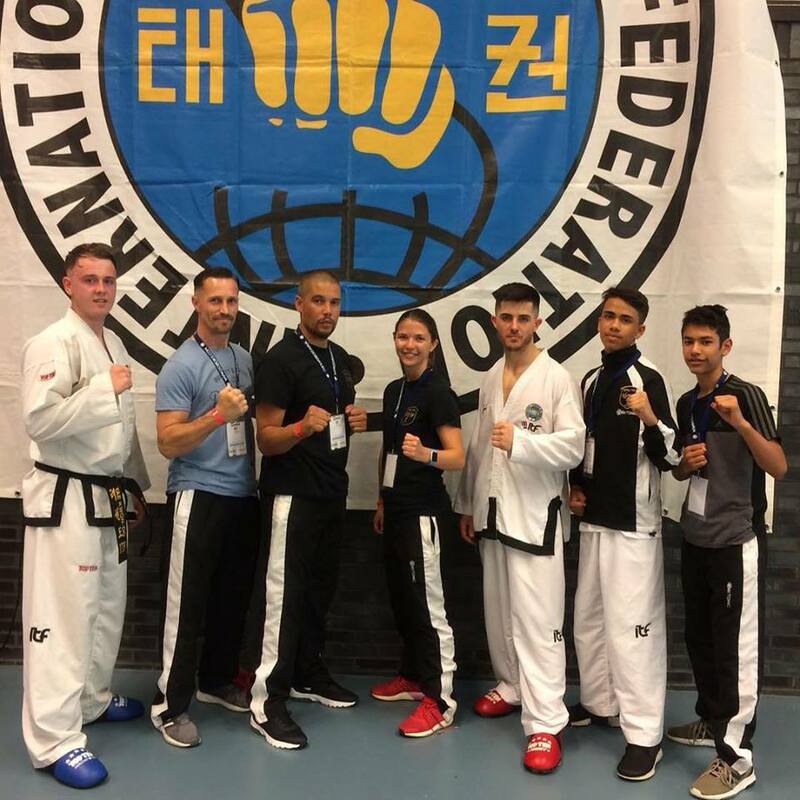 On 26 May 2018, Master Symonds led a Team of competitors assisted by Mr Hourcian to the Holland cup in Delft. 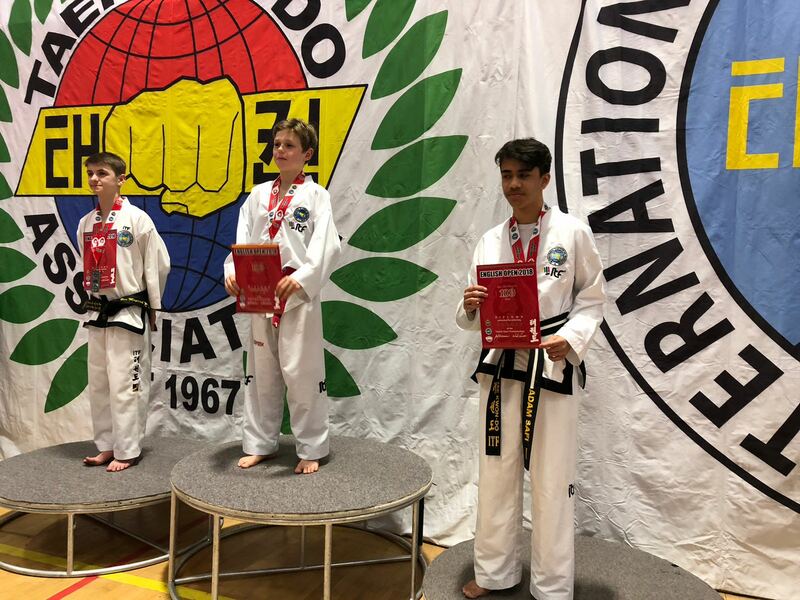 The competition was attended by competitors from many different countries including England, Scotland, United States as well as many competitors from the home nation. 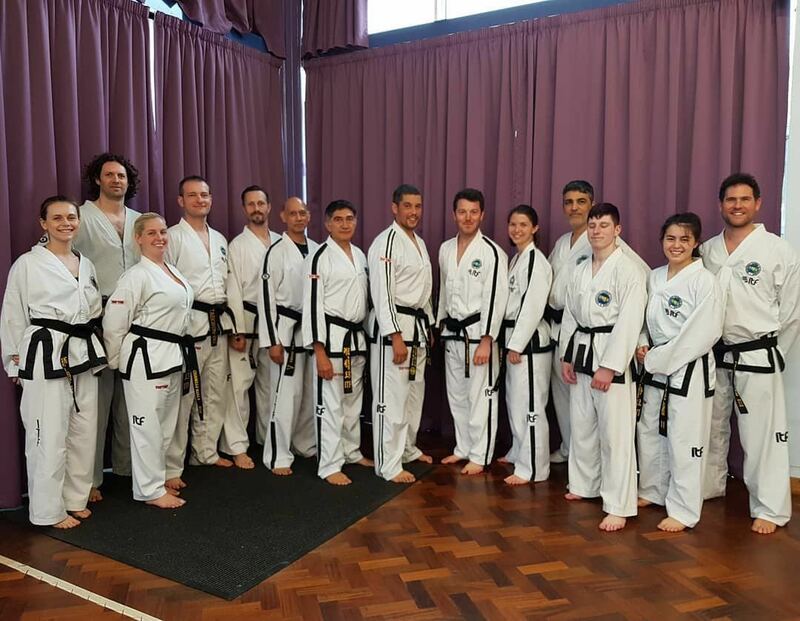 On Sunday 29 April Instructors and Assistant Instructors of TOTAL TKD attended the 2018 Instructors Course which was conducted by Master Symonds. 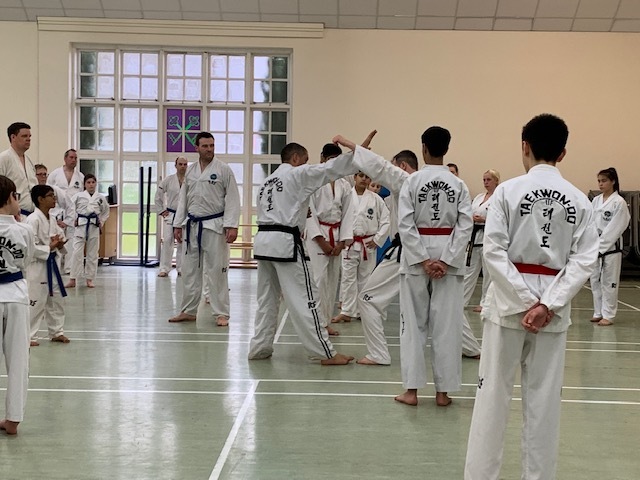 The course covered colour belt Patterns in details and self-defence ensuring standardisation across the 600 plus members of the Association. Miss Wilson also brought the Association up to date on web developments / improvements that she has been working on which were well received by all. 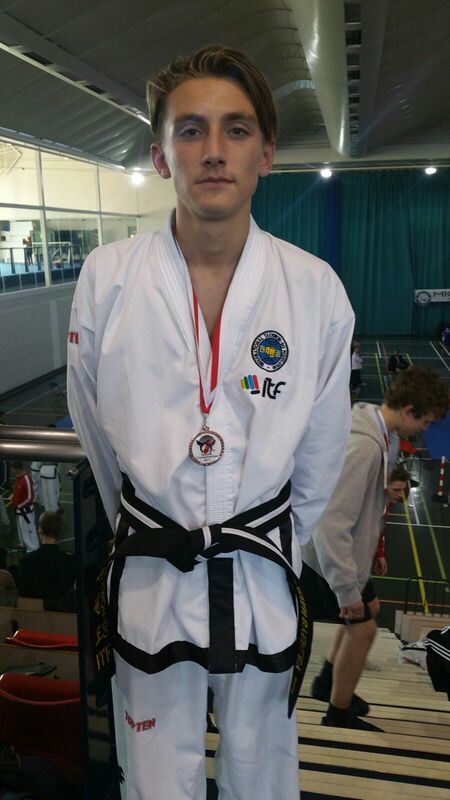 On the weekend of March 22nd/23rd members of TOTAL TKD entered the UKTA English Championships in Guildford. 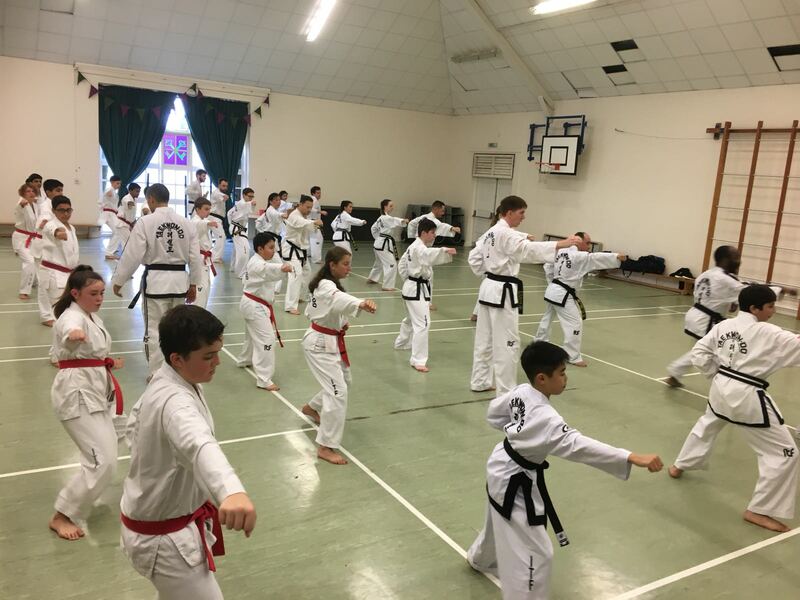 On 21 January, TOTAL TKD members from Southgate, Hadley Wood, Croxley Green and Chorleywood took part in the first CDP session of 2018. The session focused on footwork, sparring drills, punching drills and the mental approach to competition. All of the students worked hard and will be now preparing for the first National event of the year. Thank you to Miss Wilson and Mr Hourican for your assistance. Well done and good luck for 2018. 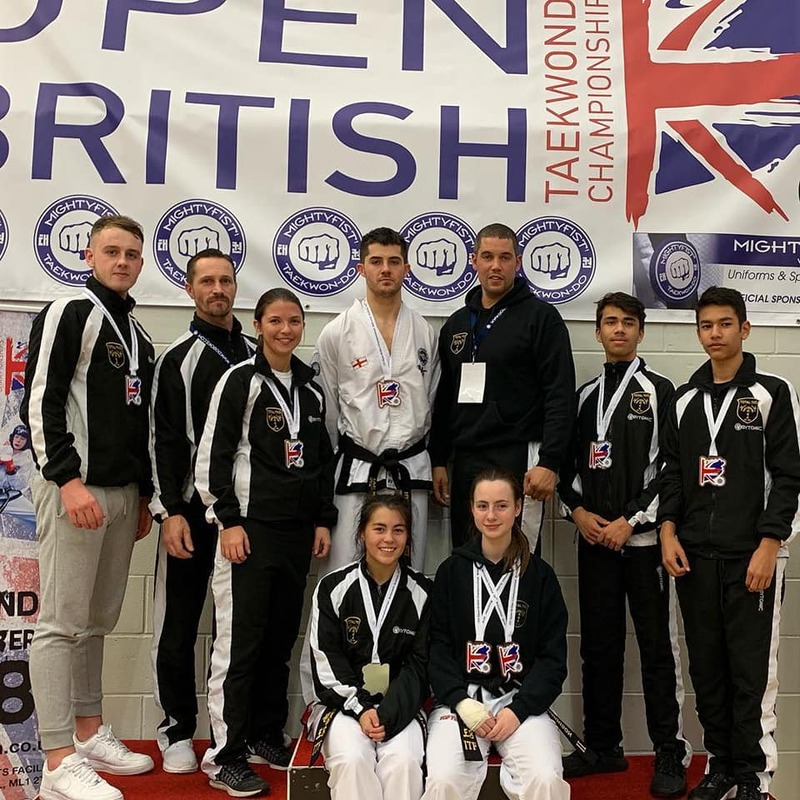 On the 25th of November, members of Southgate based Taekwon-do club Total TKD attended the first ever British Open Taekwondo competition in Crawley, Sussex. 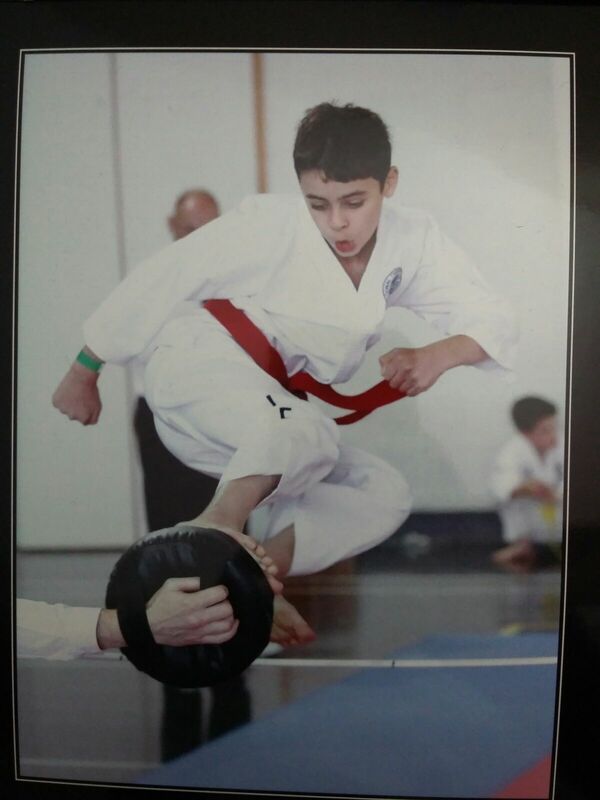 With over 450 competitors coming from all the Home Nations as well as countries such as Ireland, Holland, Portugal and Norway. The standard was high, with many competitors also being on the national teams of their countries. 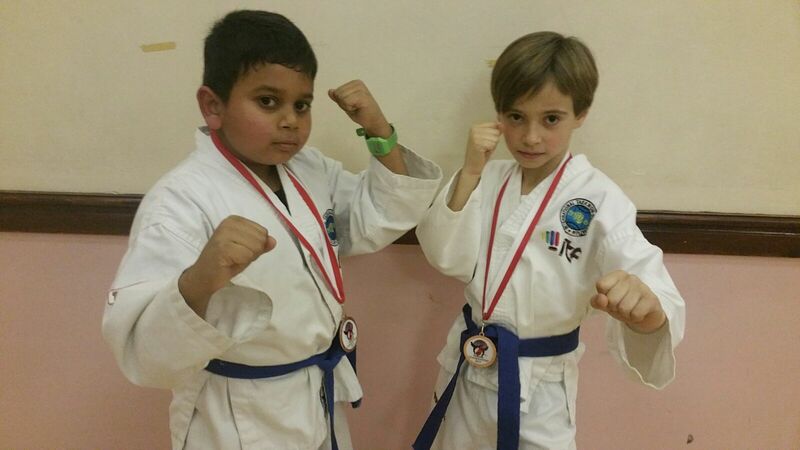 Total TKD sent 5 competitors and returned with 10 medals including 2 Golds. 2 Total TKD competitors - 2nd Dan Black Belts Laura Jones and Maia Harrison - now hold both the English and British titles in their Categories. Laura and Maia also competed at the England Open and national team trials, winning their categories and becoming England Champions. Laura for patterns (age 16), and Maia for -55kg sparring (age 15). This adds to the list of the girls’ achievements, which include their spots on the England National Team. 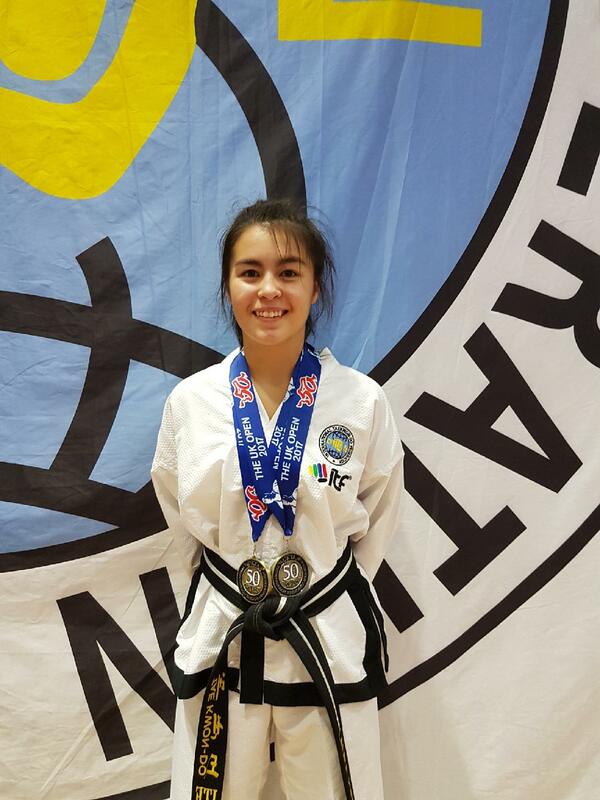 Congratulations to Laura Jones on winning 2 gold medals in Patterns and Sparring at the UK Open competition. 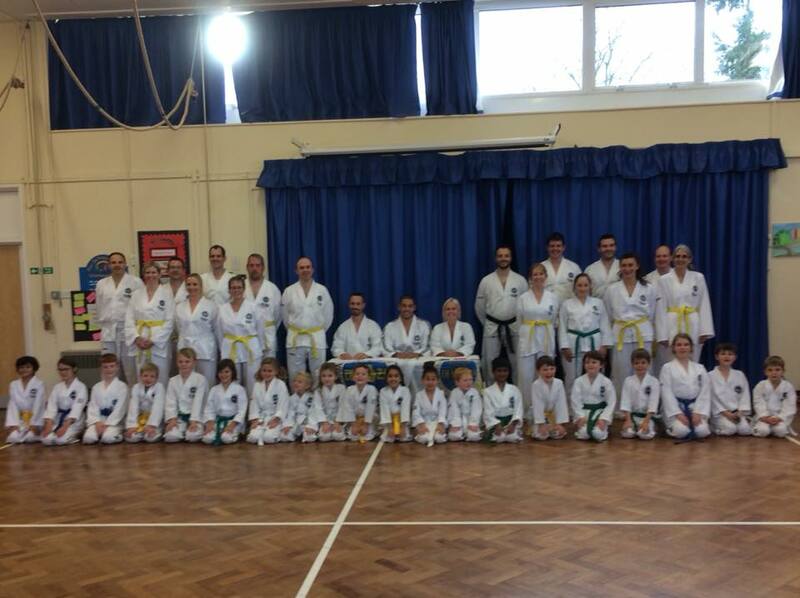 On Sunday 5th November, 32 members of TOTAL TKD attended York House School for the Autumn seminar with Master Symonds. The 3 hour seminar focused on competition sparring and drills in the first part and then patterns and fundamentals in the second part. The time flew by with all participants having fun and learning new skills. 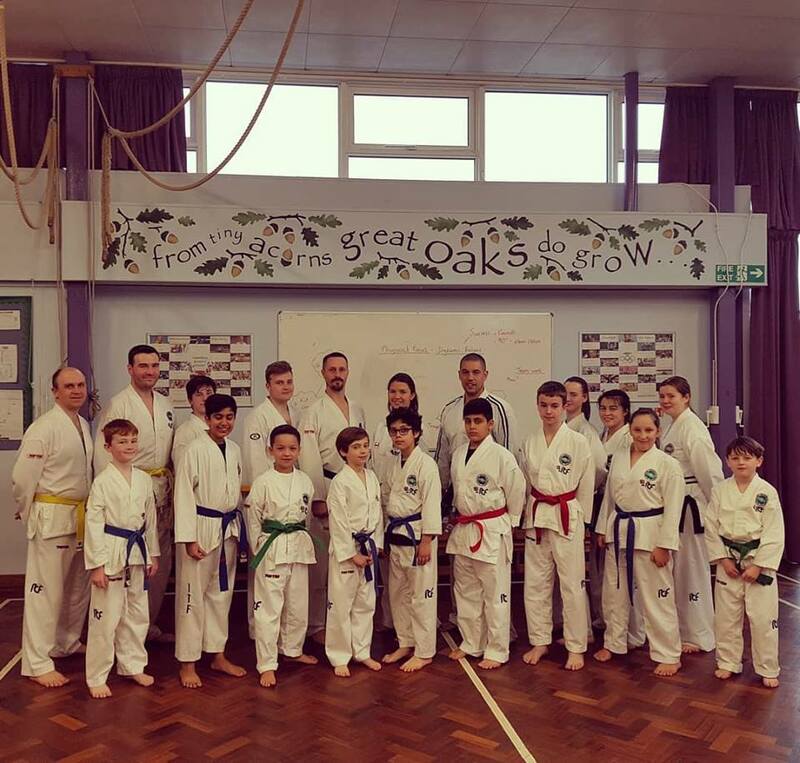 On Saturday 4th November Master Symonds was invite to Chorleywood Taekwon-do school to conduct a grading for the students of Mr Hourican and Miss Kelly. 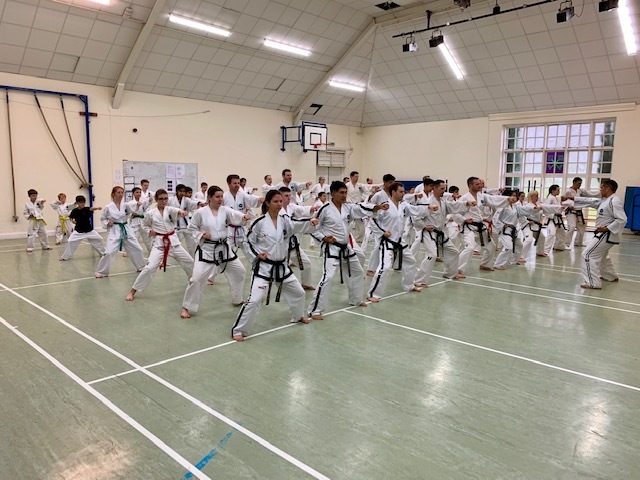 The grading saw 34 students testing over a 3 hour period, focusing on Patterns, step sparring, fundamentals and theory. 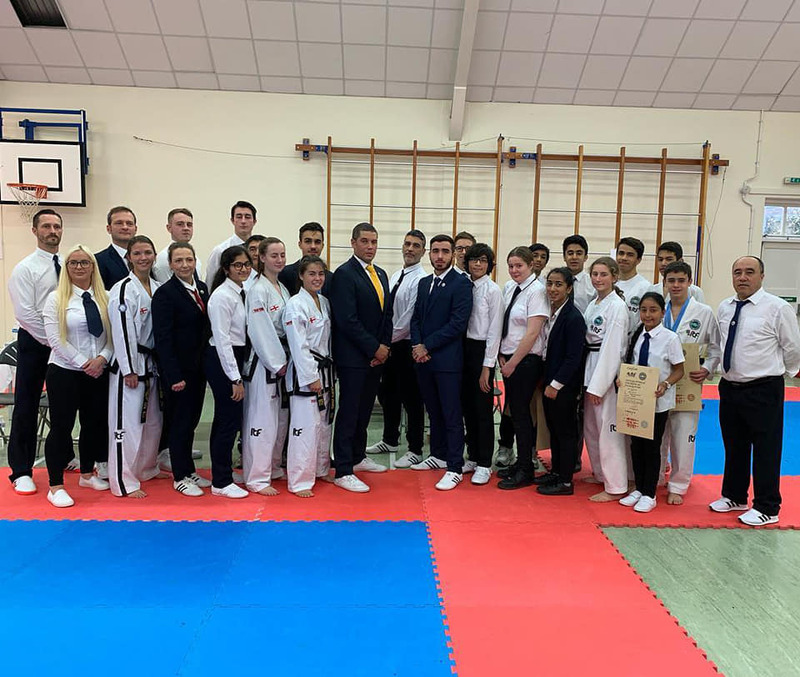 On the weekend of October 28th and 29th October, ITF England held the national championships at the Royal Masonic Girls school in Rickmansworth. 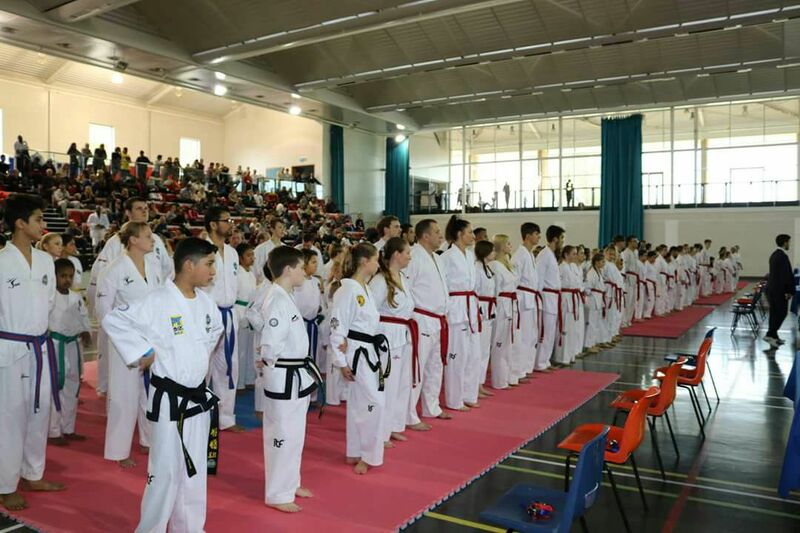 The event was hosted by Master Symonds in his capacity as ITF England Tournament Director and was attended by 80 black belts and 180 colour belts all seeking to become National Champion. 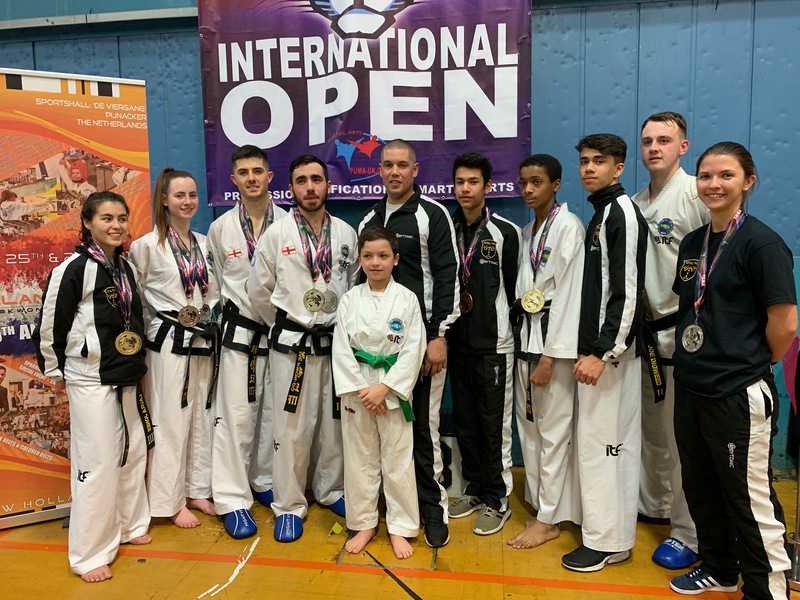 TOTAL TKD had 55 members taking part in the event winning 8 gold, 15 silver and 24 bronze, ultimately finishing 3rd overall out of 22 associations which is a huge achievement. 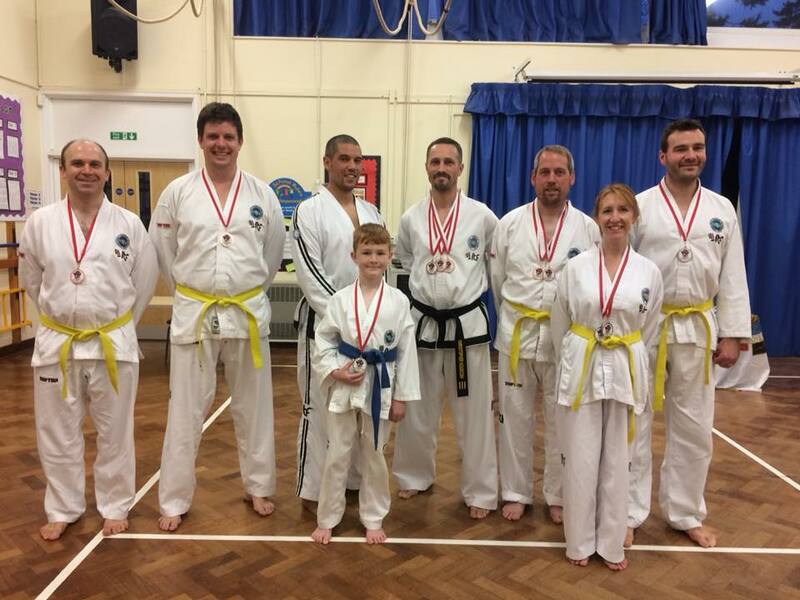 Well done to all that took part and congratulations to our gold medalists for winning their divisions. 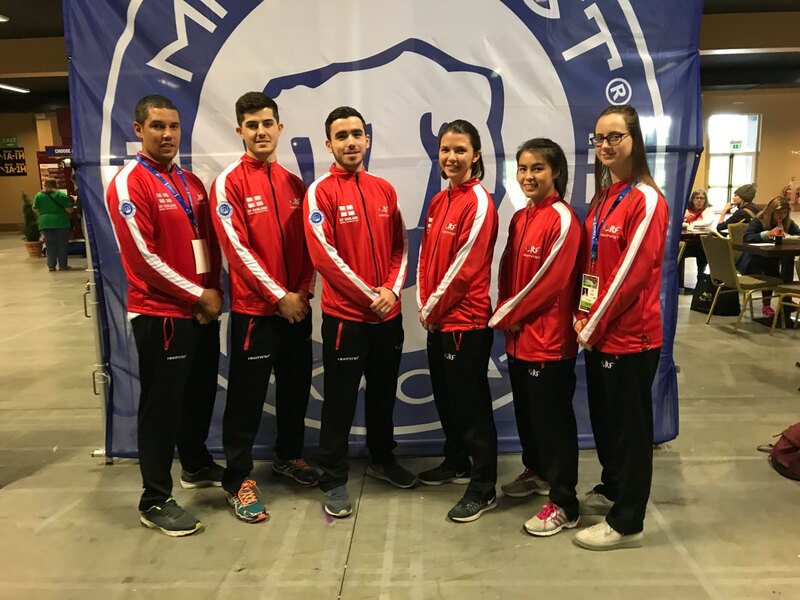 Congratulations to Miss Carly Wilson, Mr Nathan Smith, Miss Laura Jones, Miss Maia Harrison and Mr Troy Sampath on representing ITF England at the World Championships in Dublin. 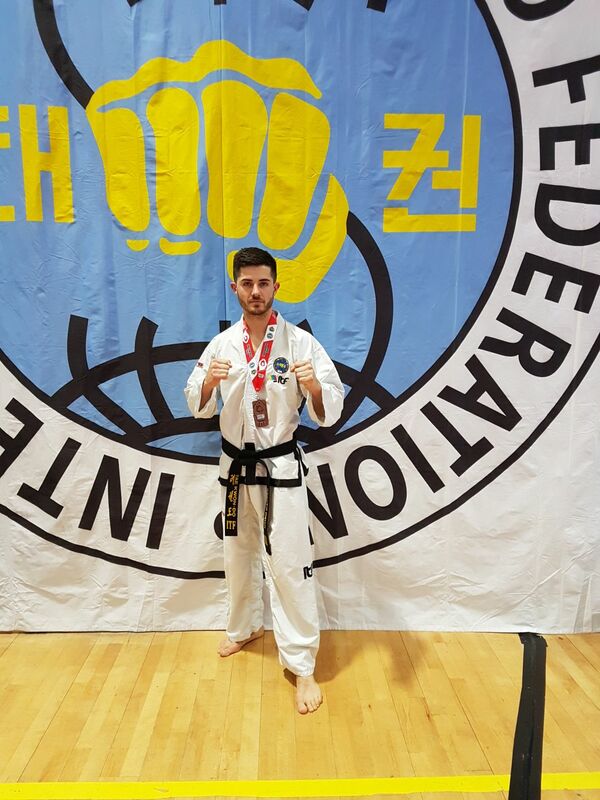 The competition was attended by 1200 competitors from 61 countries and was of an exceptionally high standard. 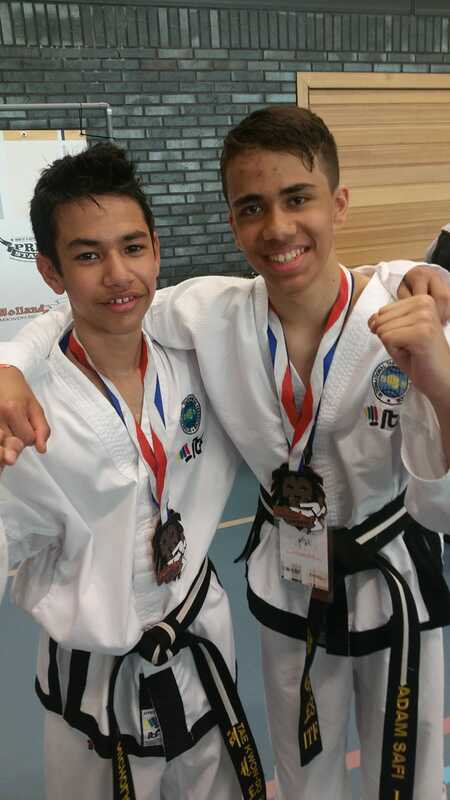 Sadly medals were hard to come by but the experience was invaluable, we wish them well for future competitions. 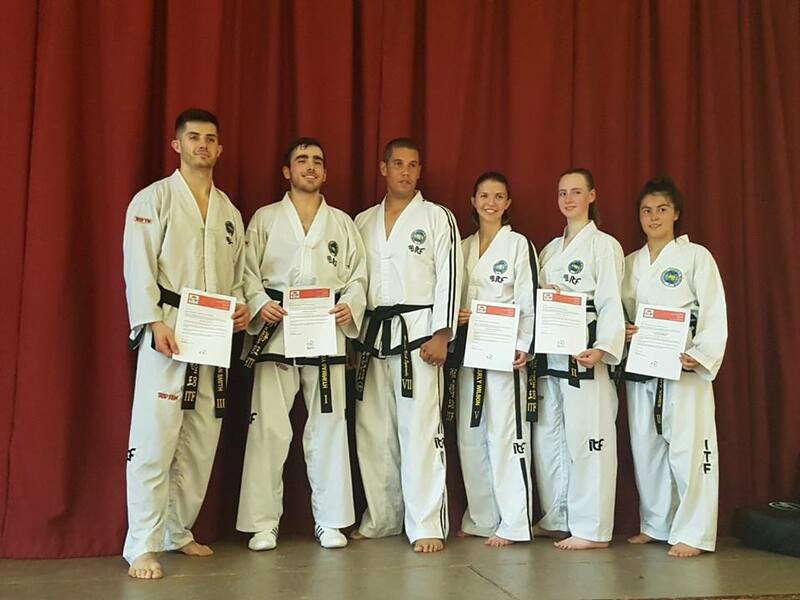 On Sunday 8th October, more than 20 members of TOTAL TKD attended the Autumn black belt grading at Southgate Taekwon-do School. 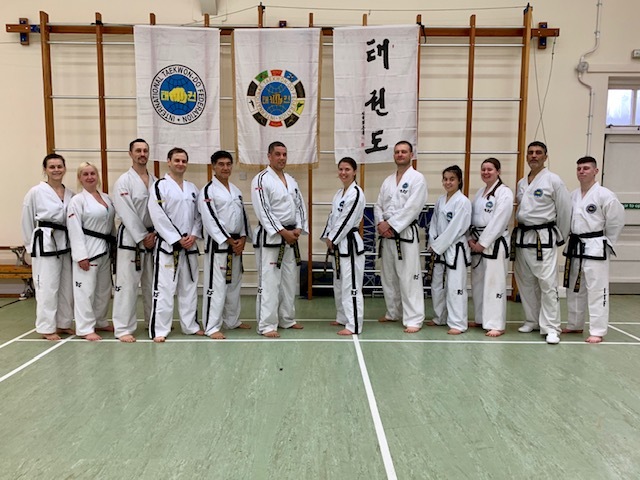 The grading was conducted by TOTAL TKD chief examiner Master Symonds along with Mr Ayman 4th degree and Mr Hourican 3rd degree who were responsible for pre-testing next years black belt candidates. 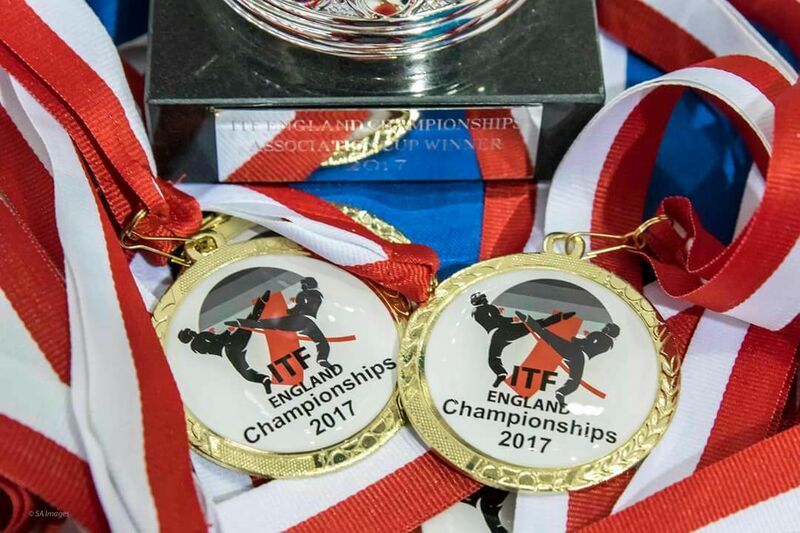 I am pleased to announce that 5 members of TOTAL TKD - Southgate, have been selected to represent ITF England at the forthcoming World Championships in Dublin. 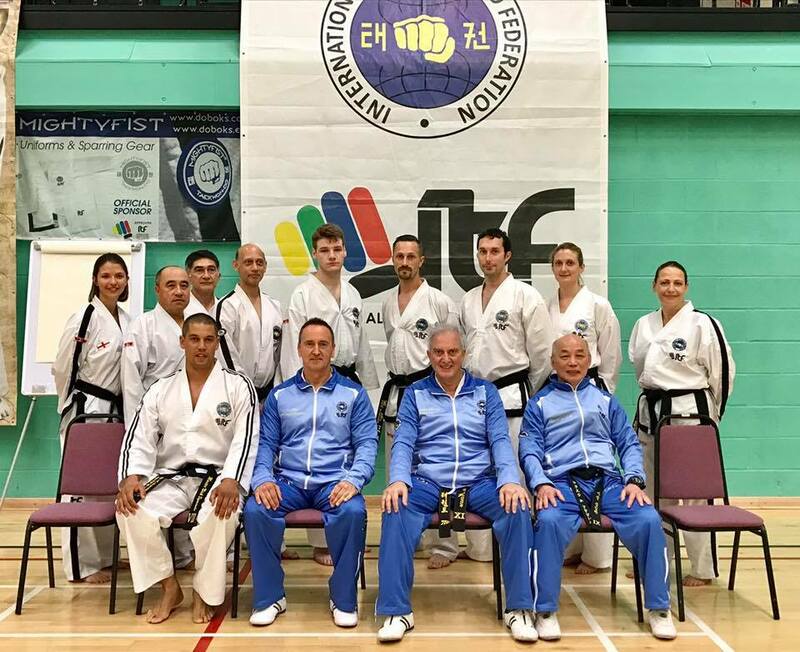 On Friday the 7th July-9th July, 10 members of Total TKD took part in the international Instructors Course (IIC) in Manchester. 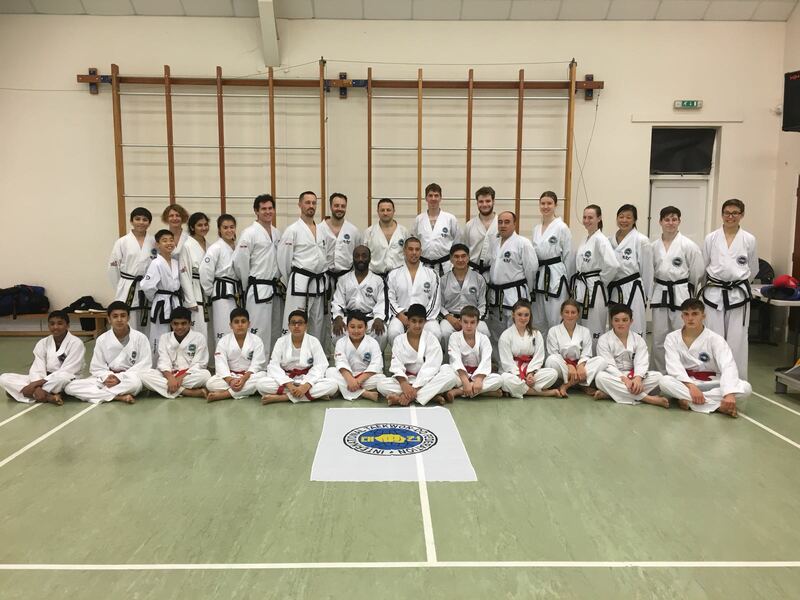 The course was conducted by Grandmaster Marano, Grandmaster Lan and Master Pierre Le Querre. It was very informative and primarily focussed on Step Sparring, free Sparring, self defence, patterns, warmups and stretching techniques. Well done to all of those who participated.